I would like to introduce you to Marc and Andrea Smith. I just met Andrea a couple of weeks ago and her story moved me. I asked her if I could share it with all of you and she said yes. I hope you will be blessed by the Smith’s story as I know I have been. On our wedding day fifteen years ago, we dedicated our lives to serving God however He desired. Right after our wedding, we began working as youth and children’s pastors. Not long after, we began to desire children of our own that we could raise to know and love God. We had no idea how God was going to answer this prayer! For the next 6 years we continued to beg God for a baby. Every month was a roller coaster of emotion as we would get our hopes up only to be severely disappointed. After many doctors, many tests, and no answers, we decided to look into adoption. The very same week, God dropped two precious girls into our laps. Megan was nine and Allison was four. We adopted them through the foster care system in California. Perhaps we should have been content with the beautiful family God had given us, but the overwhelming desire to have a biological child continued to burn within us. We could not escape it. When we moved to Ohio in 2005, we decided to see another doctor. He told us that we would not conceive without a procedure called In Vitro Fertilization. With a price tag of $20,000, that was not an option. We were devastated. Incredibly, 3 months before, I had seen a small advertisement in a magazine about an IVF scholarship and had decided to apply, knowing that there was very little chance that we would be chosen. Eight months later, we checked our voicemail and was SHOCKED to hear that we had been chosen to receive a scholarship!! It was a miracle! After multiple tests, procedures, and minor surgery, we finally went to Chicago for our first cycle of IVF. There was never a happier couple than the day we found out that we were pregnant with not just one, but two baby boys. We had waited and prayed for those boys for almost 10 years. Everything went well until around 17 weeks gestation. Andrea went into pre-term labor when one of the baby’s sacs broke. We really believed that everything was going to be ok. After all, we had waited so long for those babies; there was no way that God was going to take them away from us. But His ways are not our ways. Five days later, Andrea gave birth to two, beautiful, perfectly formed baby boys. We held them in our hospital room for as long as we could. Saying goodbye to them was the hardest thing we ever had to do. The night after we lost our sons, Ian and Caleb, God gave me a vision of Jesus. 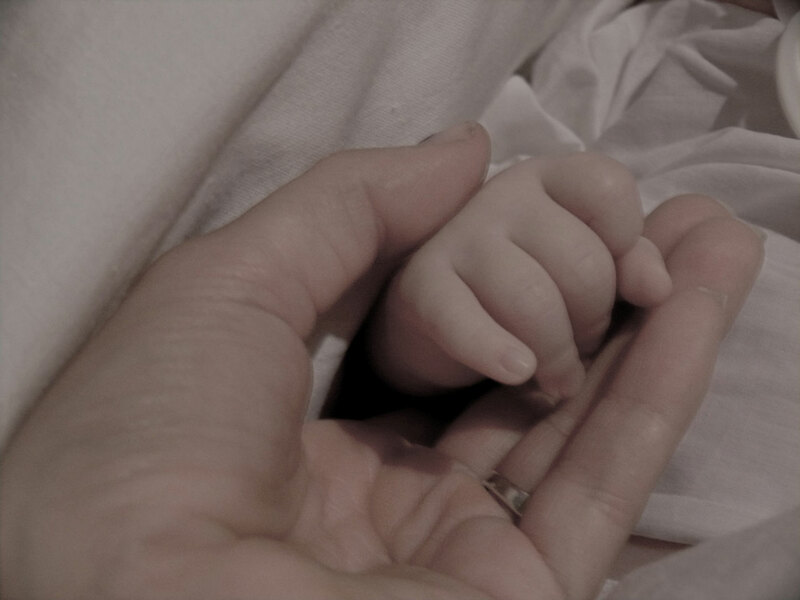 He was standing at the foot of my hospital bed holding my two sons in his arms. Both of the babies were happy and beautiful, each wrapped in a white blanket. But what captured my attention the most was Jesus’ face. He had the biggest grin on his face because he was so happy to be holding my sons. This vision gave me the grace and strength needed to keep trusting him. If you missed my review of A Season for Tending, the first book in the series, you can check that out here. I enjoyed the first book in the series so much I couldn’t wait to get back to these characters and Cindy did not disappoint. She throws you right back into the drama of Rhoda and the King brothers. The book opens with Rhoda being summoned to meet with the bishop and she knows this can’t go well. I won’t tell you what happens, but know there is high drama and you want to speak up for her and tell them to just leave her alone. Samuel is struggling with his feelings for Rhoda and I found myself wanting them to find a way to be together without hurting Jacob. Is it possible? Jacob is thrown into his past and it makes me mad that he won’t be honest with Rhoda, you know it all has to explode in his face, right? Again, I won’t give anything away, you’ll just have to get your own copy to see what happens. I enjoyed this book as much, if not more, than the first. 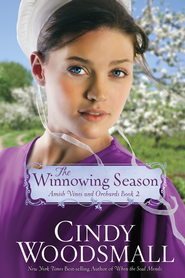 If you enjoy Amish fiction and some romance, pick up a copy and start reading, you won’t be sorry. You can get a copy from your local bookstore (I’ve seen copies at Meijer for you mid-west readers) or you can order your copy from Amazon, Barnes and Noble, Christianbook.com or from the publisher. Visit Cindy’s website by clicking here. An ebook of this book was given to me by the publisher in exchange for an honest review. I loved this book. I did not want to put it down. This book throws you right into the action from the first sentence. Now, if you enjoy a sweet romance this book might not be for you. But I like sweet romances but I also like action packed adventure and I found it in this book. 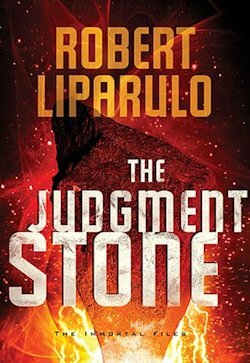 The Judgment Stone is the second book in a series. The first book is The 13th Tribe. If you start with this book you won’t be lost but trust me, you’ll want to go back and read the first. I have not read the first but it is on my list to read this summer. What I liked about this book was the visual it gives of what happens when we pray, what we don’t see. Jagger (the main character) touched the Judgement Stone (a piece of the first ten commandments that Moses threw down when the Israelites made the golden calf) and when the stone is touched you can see into the Heavenly realm. He saw angels surrounding those who were praying and when people prayed it was like lights flowed out of them up into the atmosphere. What a powerful visual for us as we hit our knees in prayer and a reminder that our prayers do matter and God is listening. Make no mistake, seeing into the Heavenly realm means seeing things that aren’t so pleasant either, such as demons, which are as real as angels even though we don’t like to talk about it. If you are looking for a page turning, get-all-worked-up kind of book, then this book is for you. Men and women alike will caught up in this fast-paced story. Grab a copy from you local bookstore or order from Amazon, Barnes and Noble, or Christianbook.com. Enter to win a copy by leaving a comment below by June 4th at 5:00 pm (U.S. Residents only). Her mother’s mysterious goodbye gift is filled with quilt blocks that bring comfort to Beth during the hard days and lonely nights, but as she sews each block, she realizes there is a hidden message of faith within the pattern that encourages and sustains her. Reunited with Joe, Beth learns his secret and puts the quilt’s message to its greatest test—but can betrayal be forgiven? 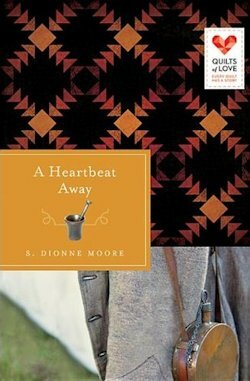 AHeartbeatAway – Medium from S. Dionne Moore on Vimeo. What I liked about this book was that the heroine had an actual physical flaw. You don’t see that much, usually they are perfect. I am guilty of writing perfect heroines in my stories, so it was nice to read about a heroine that has a physical flaw. On the flip side, I really struggled to get into this book. I felt there were too many story questions and I couldn’t keep track of what was going on and who Beth (the main character) was referring to when she was thinking about people in her past. The writing itself was good, the author has a good handle on craft, I just couldn’t connect with the characters very well. I think there were so many questions presented it kept me from really getting into the story because I kept wondering what was going on. This is my opinion only and you might feel differently. Therefore, I am having a giveaway of the book so you can read it for yourself and form your own opinion. Just leave a comment by June 3rd at 5:00 pm to be entered (U.S. residents only). To purchase the book visit your local retailer or order from Amazon, Barnes and Noble or Christianbook.com. This is Laura’s last week with us. I hope you have been blessed by her story as I know I have. This week we get to hear how she started My Sister Song. Thanks for sharing with us Laura. Not long ago some dear friends of ours asked me and my husband to stand up in their wedding. On the night of the rehearsal, our pastor took me aside and told me about a girl named Harmony Dust who was coming from CA to speak at our church and share her story. He said she used to dance in the strip clubs of Los Angeles and that she does some amazing things for the girls who work in the clubs in her area. He wanted to know if I would prayerfully consider starting a ministry like hers locally. Harmony arrived and not only did I find her story compelling, but I saw a lot of myself in her. Our stories may not be identical, but we’ve definitely walked down similar roads as we know so many women have. We understand that people like us are not evil but just need a chance heal and find our way. Needless to say, it did not take me long to determine I wanted to do everything possible to connect with these girls and just get the chance to love on them a little. A few months later my friend and I were on a plane to CA so we could learn from Harmony how to best serve our sisters in the clubs and My Sister Song was created. Teams of very cool compassionate women, many with similar backgrounds, want to go with me into the clubs to give lovely little gift bags filled with cosmetics, jewelry, baked goods and love notes to the girls…Just little things to let them know there are people who love and understand them and recognize that God loves them with a fierce passion. We also have a devoted team of prayer warriors who are dedicated to lifting these girls to the most-high God in prayer for their safety and God’s blessing on their life. Each woman who contacts My Sister Song receives an individualized care package intended to bring inspiration and to encourage her in her faith, and we also make available a variety of resources and ways for her to get connected as she desires in order to bless her on her journey. I consider it an honor to be able to serve God and these girls in this way! Isn’t it amazing? 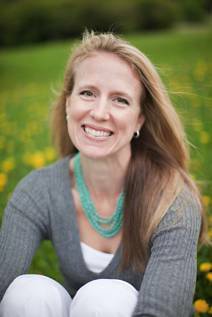 If Laura didn’t walk through those heartbreaking years she would have never started this ministry. God used what the enemy intended to harm her, for His glory, so many lives can be saved. Now that’s a Genesis 5020! 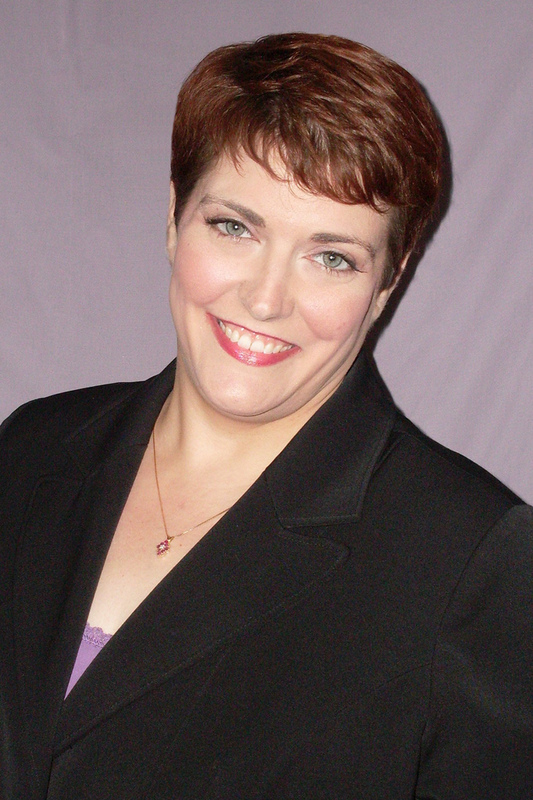 Becky and her husband lived overseas in the Caribbean and Australia before settling in Dallas, Texas. 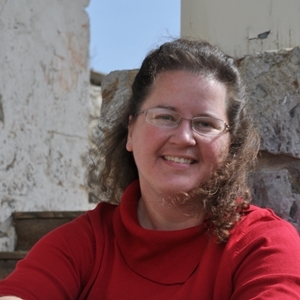 It was during her years abroad that Becky’s passion for reading turned into a passion for writing. She published three historical romances for the general market, put her career on hold for many years to care for her kids, and eventually returned to writing sheerly for the love of it. Her first contemporary Christian romance, My Stubborn Heart, has been named a finalist for Romance Writers of America’s RITA Award. Her newest release, Undeniably Yours, is available now. I just received this book and have not had a chance to read it. I will be back in a week or so to give you a review and giveaway of this book. I can’t wait to start reading! In the meantime you can check it out at Amazon, Barnes and Noble or Christianbook.com. Even though I started writing when I was twelve or thirteen (writing down the stories I’d been playing out with my Barbies so I’d remember the next day), it wasn’t until I was sixteen or seventeen when I really felt like writing was what I wanted to do with my life. I just didn’t have anyone around me who knew how to direct me. My parents encouraged me, but they weren’t sure how to give me guidance. I had a wonderful Creative Writing teacher in high school and that was when I knew for sure that I wanted to be like him—I wanted to be able to teach others how to do what it was I loved doing so much. 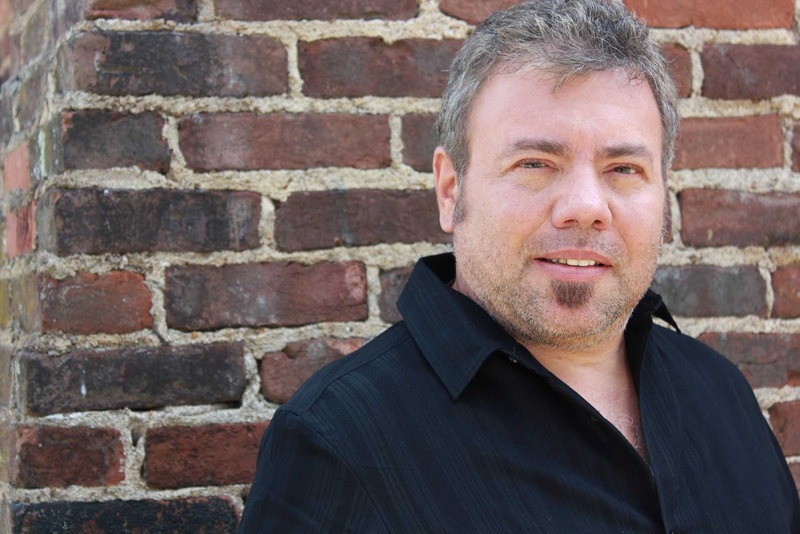 But it wasn’t until much later in my life, at the age of thirty when I attended my first writers’ conference, that I truly realized I wanted to pursue publication. What’s the takeaway/what do you hope will stick with people when they finish reading the book? Women, especially, tend to look at our choices as a series of obligations—we do what we feel we are obligated to do for the sake of our families, not necessarily what we feel our hearts are telling us to do. I believe, and it’s the theme of this book, that we spend too much time worrying about how we can fix/help/support our families (or those around us at work or in friendships) and not enough time listening to and trusting God. When we pray, we tend to tell God what’s wrong and ask him to fix it. But do we ever really take the time to just be still and listen to what God is trying to tell us? And can we really let God take care of those we feel responsible for and let go of that burden of responsibility that may not, in truth, be ours to bear? I’m currently finishing up editing the second book in this series, An Honest Heart, and writing The Heart that Waits, which is the third and final book in the Great Exhibition series. After that . . . who knows? Can you share a Genesis 5020 with my readers? My 50:20 moment was when I broke my ankle in 2010. I was already late turning in a book (THE ART OF ROMANCE), I was self-employed with my main source of income (freelance editing) on the wane, and I had no health insurance. And I’d been writing at a library and didn’t have my cell phone with me when I fell and broke both bones in the ankle and dislocated my foot. My right foot. I was maybe 20 yards from my car, and of course, even if I could have gotten over to it, I would never have been able to drive. Did I mention this was my RIGHT foot/ankle? Thank goodness for the kindness of a stranger who hadn’t forgotten his cell phone at home and called 9-1-1 for me. I’m a single woman who lives alone in a house that has a few steps up to the doors, no paved sidewalk/driveway, and being unable to drive, so my semi-retired parents drove to Nashville from Arkansas to pick me up and take me home with them. I had surgery there and spent the next almost four months with them. And it turned out to be one of the best times in my adult life. I reconnected with my parents in a way most adult children never get a chance to. I didn’t have to worry about anything. I had very few responsibilities. And I had encouragement and support from two people who love me unconditionally as I finished my book and recuperated. I also had showers of blessing rained down on me from fellow writers and publishing industry folks that I never would have expected. 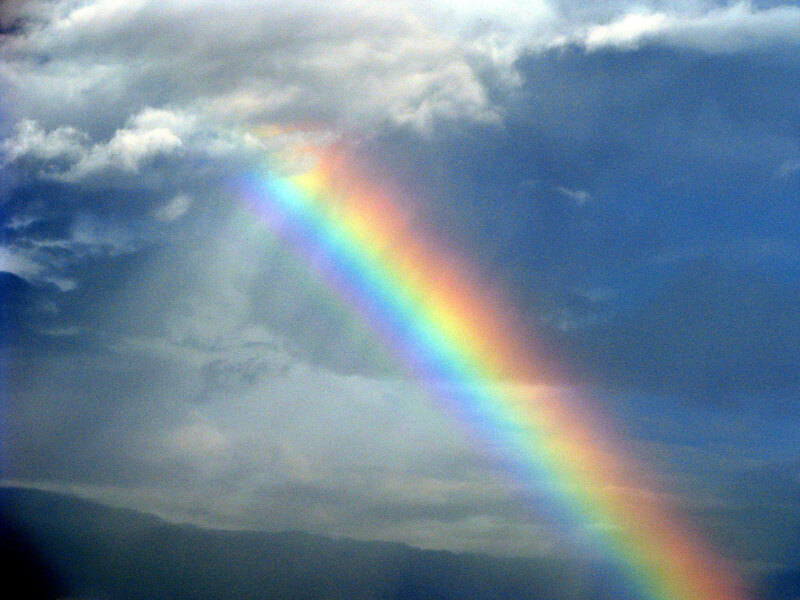 God took what could have been the bleakest, darkest time in my life and used it to refresh and revive me. What’s your favorite romance novel/ist? I’ve fallen in and out of love with so many writers/books over the years. I’d have to say, though, that the author whose books most affected me was Willow Davis Roberts. Her Sunfire romance Victoria was the book that led me to start writing (I loved it so much I tried writing a sequel). I also loved Caroline (Sunfire). But the one I continue to read at least once a year was a stand-alone YA gothic romance, White Jade. What was/were your favorite book(s) growing up? I loved the Little House on the Prairie books (still have the original yellow-cover copies from childhood). As a ’tween, I discovered the Sunfire YA romances, and I was hooked! Thanks for sharing with my readers today, Kaye. 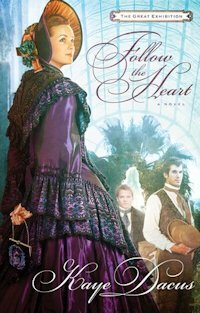 Readers, I am giving away a copy of Kaye’s book Follow the Heart. I am reading it and can tell you it is great, a book I don’t want to put down. Kaye draws you into the drama of the story from the first page. Just leave a comment by May 28th at 5:00 pm to be entered. Book has been provided by the publisher in exhange for an honest review.